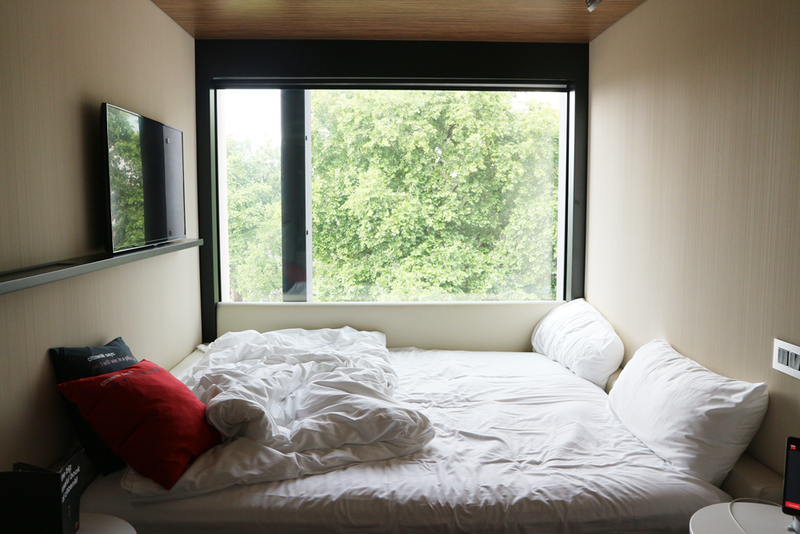 If you’ve been following me on my instagram you may have seen that last Sunday I took a trip up to London with Jamie for a night stay at CitizenM’s Tower of London hotel. 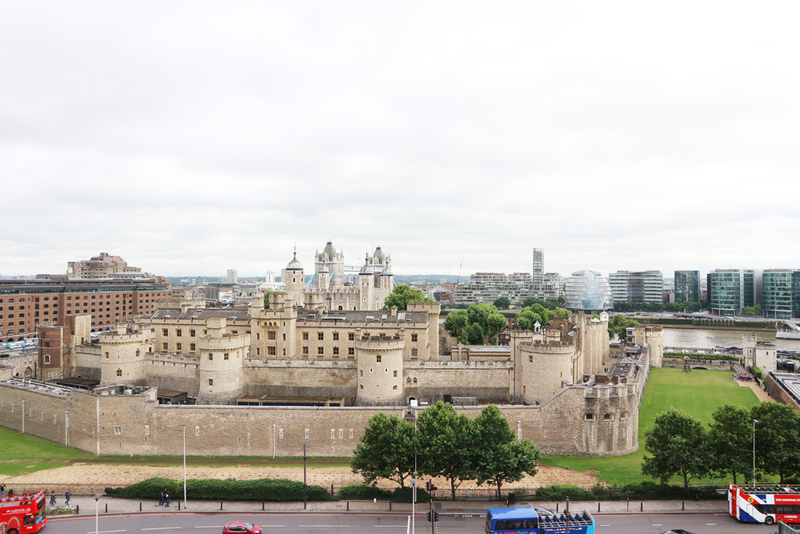 I was kindly asked to spend the night at one of their hotels – Tower of London, Shoreditch or Bankside. We opted for the Tower of London, having stayed nearby before and knowing it to be a scenic location. 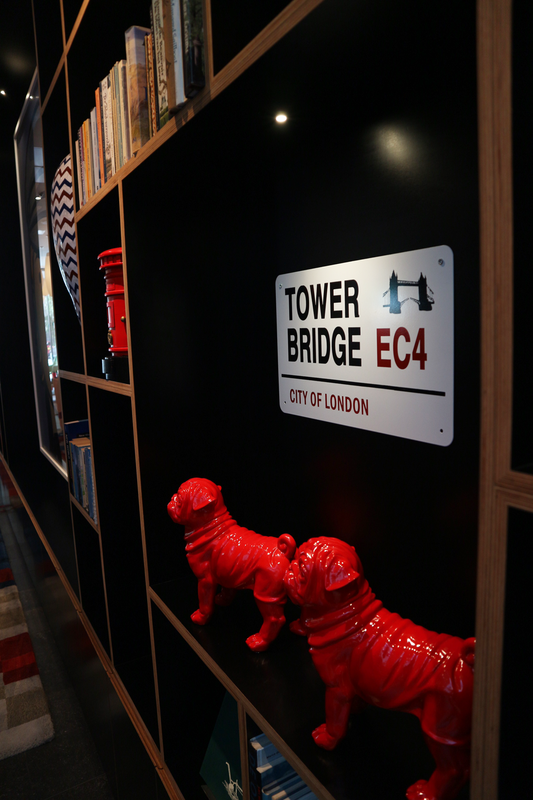 Easy to find, CitizenM is directly outside Tower Hill tube station. On arrival, we managed to check in quickly and easily – it’s all done yourself on the lobby’s touchscreen PCs, where you even get to choose your rooms view! Members of staff are on hand for help so we took some advice on what view was best. 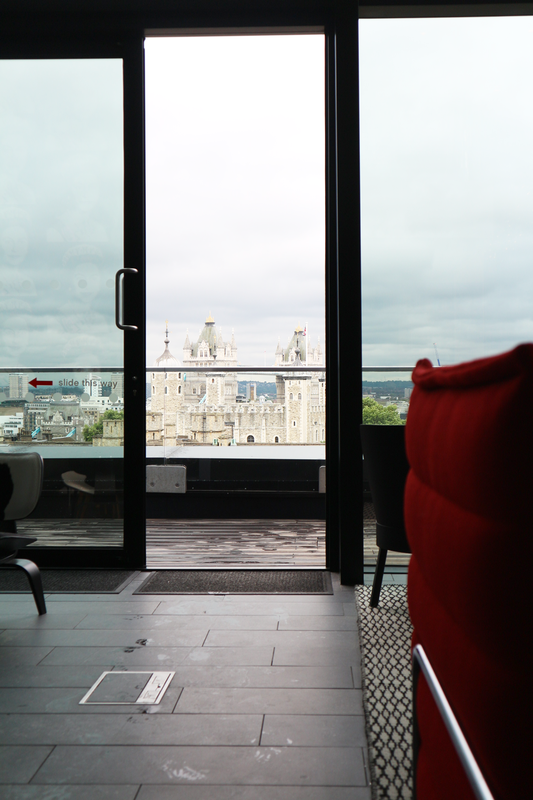 We chose a high floor looking onto the green space of Trinity Square as all the Tower of London views were taken. This was still a beautiful view though, with the Shard in the distance and the greenery below. The room is a dream – small but with all the space you need. The bed being the main feature spanning from wall to wall, it is absolutely massive! Little details, like a personalised welcome message on the TV and penguin books to read made it feel like home. The facilities were great – a gorgeous waterfall shower within a ‘pod’ acting as the bathroom, a safe, fridge and ample storage space both to hang clothes or store in a drawer under the bed. But, the most impressive thing about this room is the tablet which comes along with it. 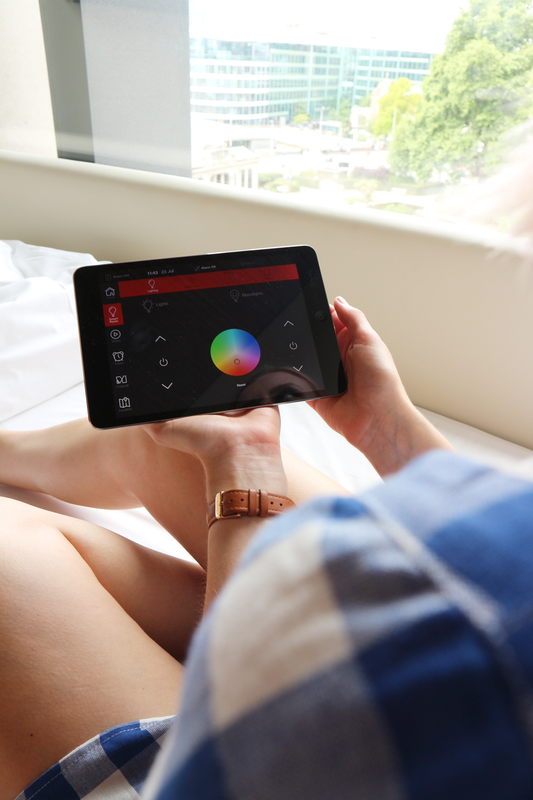 The iPad controls obvious things like temperature of the room and the TV, but also has a really cool feature of giving the room moodlighting – switch it on and select your colour from the colourwheel or select a pre-set mood such as ‘relax’, ‘party’ or ‘romance’. The iPad also controlled both the blind and curtain, and had a bunch of recent, good movies on it too! Jamie and I spent the night watching Bridget Jones Baby whilst looking out at London lit up in the darkness – it was pretty amazing. 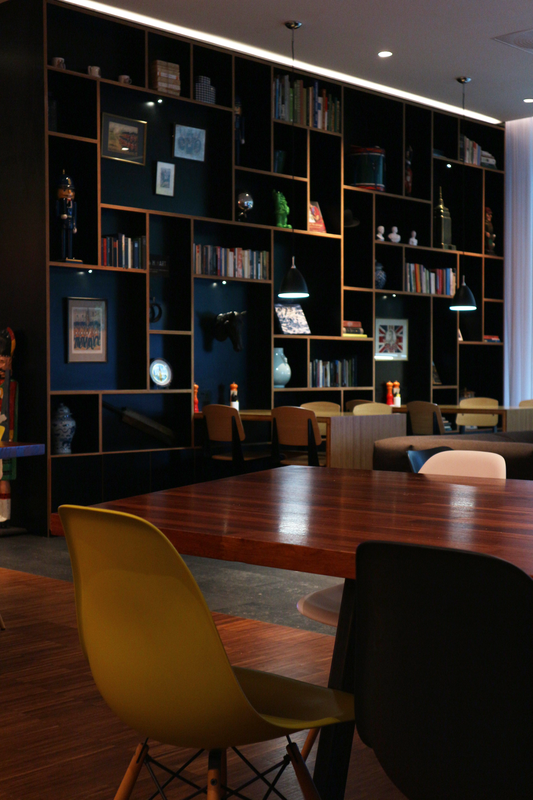 The interior design of the hotel is something that definitely stands out throughout – the lobby is cosy and inviting with plenty of books to read, with a mix of comfy and practical seating and lots of quirky ornaments. 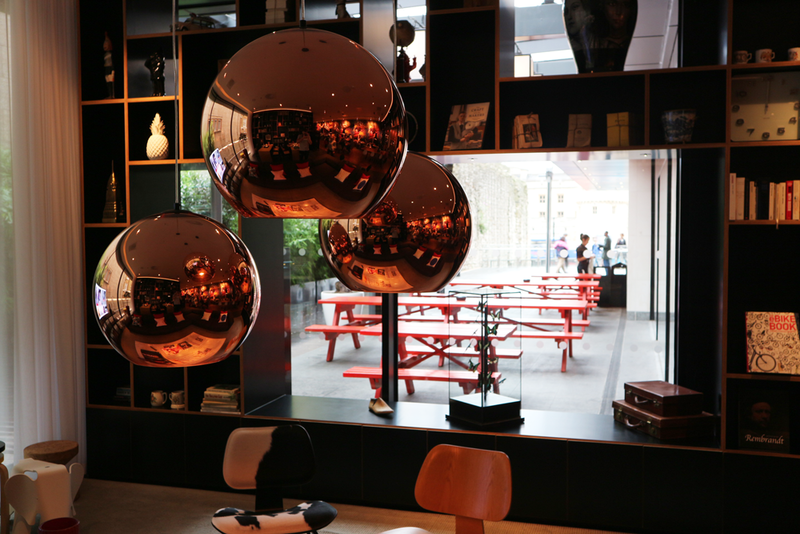 A welcoming lobby where you can happily sit and chill before heading up to my room is something I always look for in a hotel and CitizenM certainly has just that. The hotel seems orientated more towards those travelling for business, as you would expect in central London, with speedy wifi, meeting rooms and even a computer area kitted out with iMac’s incase you forget your own. Despite this, it still feels welcoming for all kinds of travellers, perfect for short-stay and within close proximity to major landmarks. The lobby has a bar, canteen and a coffee station. But on the 7th floor is SocietyM, the rooftop bar which is really fantastic. Although Jamie and I didn’t have a drink here, we did explore it just before we checked out. With views of pretty much every major building in London – The Tower of London, Canary Wharf, the Shard and the Gherkin – it’s not to be missed. Our stay also included complimentary breakfast which I can’t fault a bit! 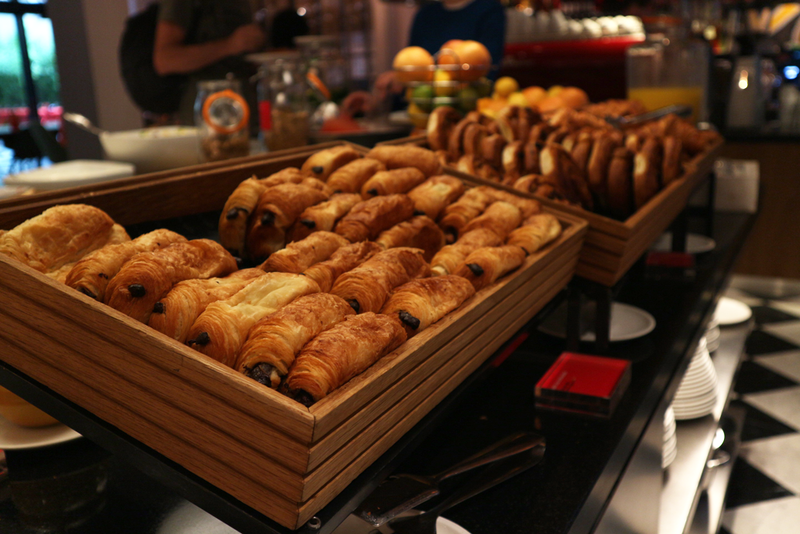 We were pleasantly surprised to find a full range of options, from hearty fry ups to pastries, cereals or fruit. 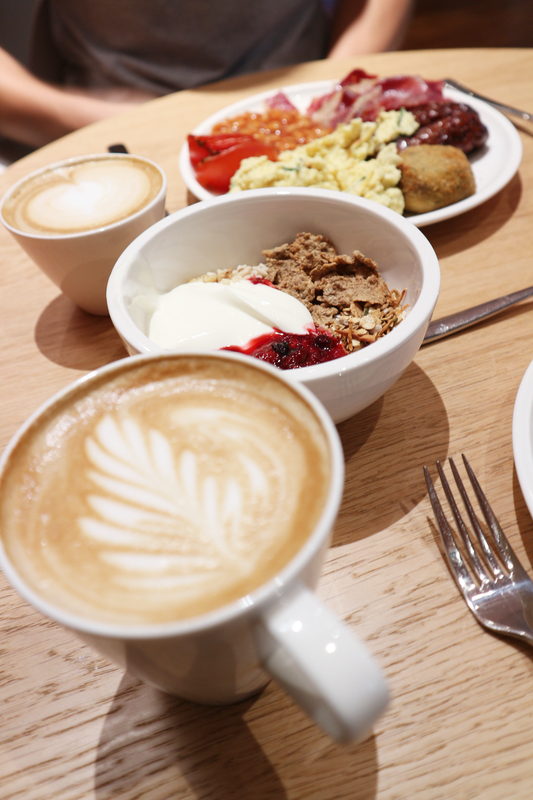 Jamie opted for a plate full of hot food, while I opted for a bit of both – a fry up and a mix of greek yoghurt, fruit, branflakes and muesli. It really was delicious! Regular tea and coffee was available, however if you fancied something a bit fancier like a Latte or Cappuccino, as we did, they can be made for you as well – another great touch which I loved. After filling our stomachs, and ready for another day exploring, we checked out, a process which was just as easy as checking in. Another thing I should mention is that they were able to hold luggage – even after we’d checked out. This is so handy, especially as we wanted to make the most of our day before heading home. 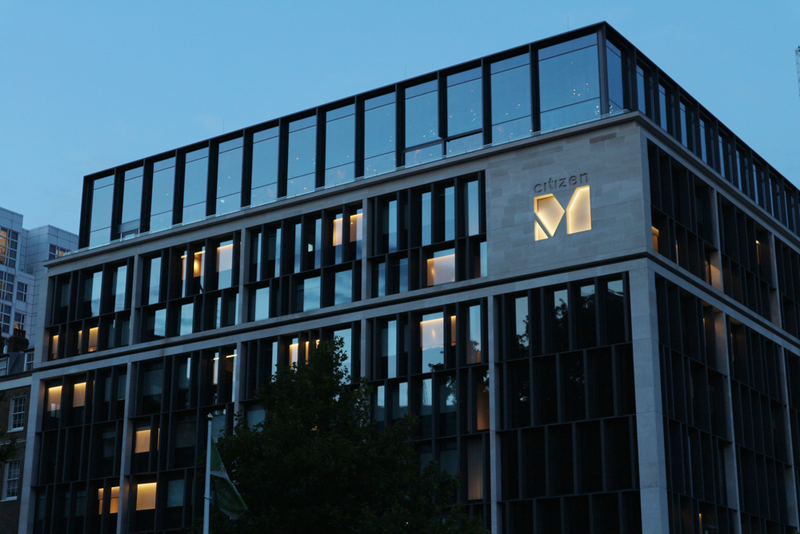 Our stay at CitizenM really was fantastic in every aspect; from staff to facilities, and the location which is brilliant, Jamie and I will definitely be looking to book here for our next trip to the City.